While visiting my family in Germany this past weekend, we went to one of many castles in the area to see Nosferatu. 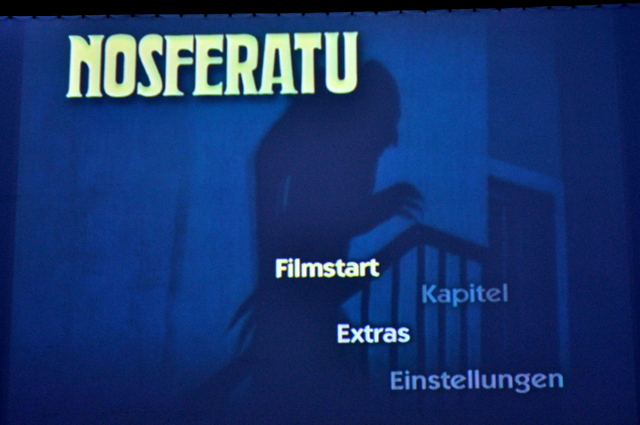 I’m not a fan of vampire movies nor have I ever heard of Nosferatu before that night. But there is something to be said about watching a vampire movie out in the open courtyard of a castle…at midnight. The 1922 silent movie is mostly self explanatory although there was some text in German I didn’t not get to read. But even native German speakers had trouble reading the text in the cursive italic German it was written in. Overall a good night set in a great little village in Saxony.